Protect Data accurately with unrivaled detection against data theft while on premises, off and anywhere in-between WITHOUT having to send data to the cloud! provides unrivaled protection against accidental disclosure and theft of sensitive data and critical assets from trusted and untrusted (malware, APT) users. 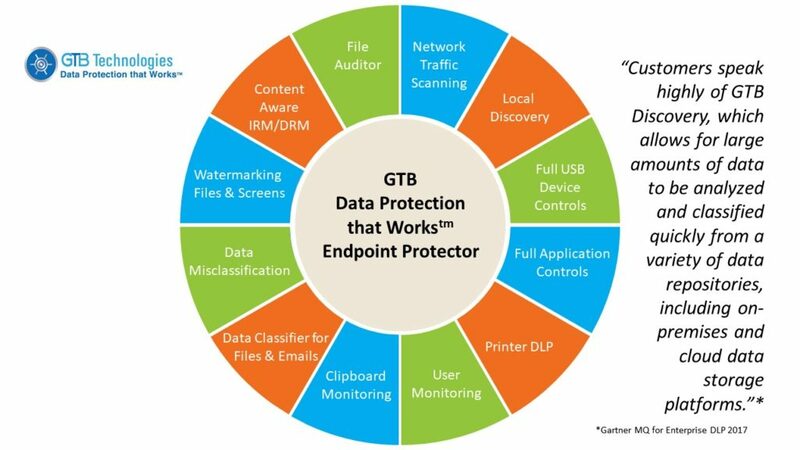 Rather than restricting devices that connect to the cloud / network and passively audit data transfers, the GTB Advanced Endpoint Protector offers organizations the ability to control what content can be transferred between the network, applications & removable media devices - both on and off premises, including cloud applications. 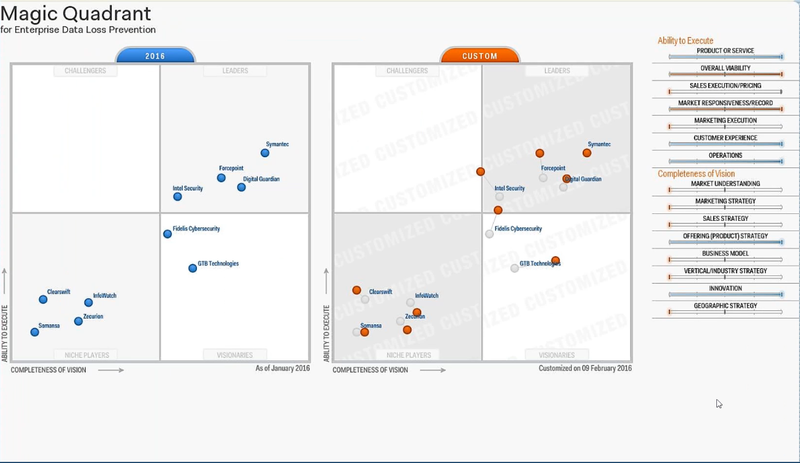 With the unique ability to ACCURATELY detect, investigate and respond to data exfiltration attempts, many enterprises use GTB for DLP, EDR & UEBA instead of 3 different vendor tool-sets. Secure intellectual property, sensitive data and meet regulatory compliance quickly with out-of-the-box and custom policies, applying unique market leading DLP detection capabilities to control data theft on Mac, Windows & Linux. is data that is saved on removable media devices. GTB's Endpoint Protector scans data for sensitive content before it is saved and then can block unauthorized transfers. The Endpoint Protector can also detect activities such as copy and paste, or use of sensitive data in an unapproved application, such as someone encrypting the data in an attempt to bypass the Endpoint Protector's block. Secure traffic over applications & devices with one, unified policy. Provide context & content-aware device & data control that recognize and optionally block the output or removal of secure data / content. Supports online and offline policies (on-premises or off-premises) fingerprinted data, controls encrypted data. The GTB Endpoint Enterprise DLP / EDR client monitors I/O activity, enforcing access policies created in the management console. All data sent to removable media is intercepted and inspected by the GTB inspection engine. Various enforcement actions can then be taken, such as blocking, alerting, classify, watermark, encryption, etc. OFF_LINE DETECTION - Off-Premise Fingerprint detection, no need to "phone home" No other solution can! Only solution supporting accurate partial file match on unstructured 'fingerprint' data! !